Every Brock’s Gap IDPA match consists of a number of separate “stages” or “courses of fire” (COFs). Each stage is either a “scenario” stage or a “standards” stage. 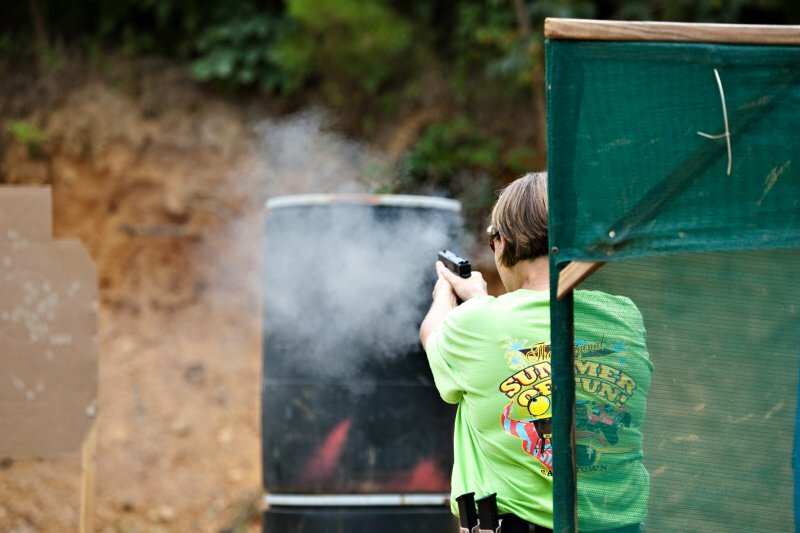 A scenario stage is based on some potential real-life encounter that could challenge your skill in armed self-defense. For example, you may be told that as you return home from work late one night, you find that bad guys have your wife and kids and are ransacking the house. When they see you, they go on the attack. You must use your gun to take out the bad guys without injuring your loved ones. Most IDPA stages are scenario-based. A standards stage is designed to test some element of shooting skill as opposed to representing a real-life threat. For example, you may be required first to engage an array of three targets using only your strong (dominant) hand, then reengage the same targets using only your weak (non-dominant) hand. A COF may require that you engage targets while moving forward, backwards, or sideways or from around, over, or under barricades. These COFs are not designed to be physically challenging, but they do provide you with the opportunity to practice shooting from unusual positions. At Brock’s Gap, we have nine shooting bays (ten if we use the one public shooting bay on F Range) that are available for setting up COFs. We will generally have each stage of the match set up in a different bay, which reduces both the amount of time it takes to shoot a match and the amount of time the shooters have to spend waiting around to shoot. Depending on how many folks show up for a match, we break up into a number of squads, typically with 10-12 shooters each. These squads stay together throughout the match, moving from stage to stage until all the stages in the match are completed. If you come to a match with one or more friends, we’ll make sure you’re all squadded together. We try to have at least two certified and experienced safety officers assigned to each squad. These folks can take care of most of the timer and scorekeeping duties, leaving the target resetting and pasting to the other shooters in the squad. Even if it’s your first match, we expect you to pitch in with target pasting and resetting. It’ll help you understand what’s going on, and it will make the match move along a lot faster for everyone. When your squad arrives at a stage, the safety officer will give you all a “walkthrough” that explains the COF. You will be told where and how to start the COF and how to proceed from there. If you have any questions, you can ask them now. If you’re unsure what you’re supposed to do, it’s better to clear it up now rather than wait until it’s your turn to shoot. All our matches primarily use the official IDPA targets. Sometimes, portions of a target may be painted black to represent “hard cover.” Any round fully in hard cover doesn’t count. Some targets have open hands painted on them. These represent unarmed bystanders and are referred to as “non-threats.” Hits on a non-threat target earn a time penalty. We sometimes use steel plates or steel “poppers” that fall when struck. Sometimes paper targets are mounted on swingers that require the shooter to engage a target while it moves back and forth. Other targets pop up then disappear or turn then disappear, or move laterally. 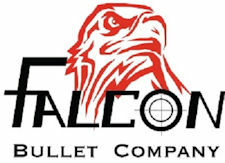 IDPA is not bulls-eye shooting (not that there’s anything wrong with that), so we try to offer a variety of shooting challenges to keep it interesting. You may not think about it when you come to your first match, but a lot of folks volunteer a lot of their time and expend a considerable amount of energy designing and setting up the COFs for every match we shoot. At Brock’s Gap, we have the luxury of being able to come to the range during the week to set up for the Saturday or Thursday evening matches. This allows us to design more elaborate stages with more complicated scenarios than would be the case if everything had to be done the morning of a match. But that also means there’s a lot of stuff to be taken down and stored when the match is over. So we appreciate any help we can get. With enough hands, we can have the range cleared in a very short time. When your safety officer says we’re through with a stage, please pitch in to get everything taken down and put away. We appreciate that, when the game is over, you want to know the results right away. You don’t want to play a game today and not know how you fared in your division and classification for 2 or 3 days. That’s why we try to make sure the match results are e-mailed on the day of the match, or early the next day at the latest. We also try to get the results posted on this site as quickly as possible. The results will be e-mailed to you at the address you provide when you register for your first match with us. You’ll then be added to our database for all e-mails regarding IDPA matches at Brock’s Gap (until you tell us to stop).